Home Mobile Applications 10 best basketball games for Android! 10 best basketball games for Android! Basketball is one of the most popular sports in the world. It has tons of outstanding players, near constant action, and some of the greatest moments in all of sports. Unfortunately, such high praise isn’t transferable to mobile games. There really aren’t a lot of great basketball games out there on mobile. However, we found a few really good ones that we would like to share. Here are the best basketball games for Android! 10 best NBA apps and basketball apps for Android! Basketball Battle is one of the better arcade style basketball games. It’s a PvP game that features two players on one court. The goal is to outscore the opponent before time runs out. The controls are really simple and the graphics won’t impress everybody. However, the game has decent pace and a fun premise. It also supports split-screen multiplayer, although we would only recommend that on larger phones or tablets. It’s a freemium game and that’s not great. Everything else is above average, though. Basket Manager is a series of basketball simulation games. You take control of a professional basketball team. You must then develop talent, simulate games, trade players, and win championships. This is all done on a simple dashboard with the tap of a few buttons. There isn’t much action here, but that’s perfectly okay. The games are actually quite relaxing. For now, we recommend Basket Manager 17 as it is the more complete game. Basket Manager 18 isn’t bad by any stretch, but 17 still plays better right now. Bouncy Basketball is another arcade basketball game. It is sort of like a low-rent NBA Jam. Games are customizable. You can play up to four periods at up to 90 seconds each. That means no game can last longer than six minutes. That sticks well with the arcade genre. Some other game features include simple controls, replays, various unlockable characters, character customization, and more. This is something you play while in line at the movies, but it’s not half bad for what it is. The game is also entirely free, but it does have advertising. Dude Perfect is world famous for their intense sports accuracy videos. The game isn’t much different. You shoot various things through, over, or around obstacles to get the perfect shot. It’s not a difficult game, but it is a bit of fun when you have some time to kill. Some of the other game features include challenges, unlockable characters, and more. It’s not a basketball game in the classical sense, but you do shoot a basketball into baskets with this game so it counts. Ketchapp has several arcade style basketball games. None of them are particularly amazing, but the collection as a whole is fairly decent. Some of the games include Dunk Shot, Dunk Line, and Ketchapp Basketball. They are all vastly simple games that don’t take long to play. Their graphics are simple, even when compared to most games on this list. The mechanics are simpler than average as well. These are fine for wasting a few minutes while waiting for stuff, but the lack of complexity does get boring after a while. Plus, the free versions of these games have tons of advertising. Otherwise, they’re fine. ESPN Fantasy Sports is one of the biggest fantasy basketball platforms on the Internet. You can play with friends, join random leagues with strangers, and do all of the fantasy basketball stuff like trading players or scoping out free agency. 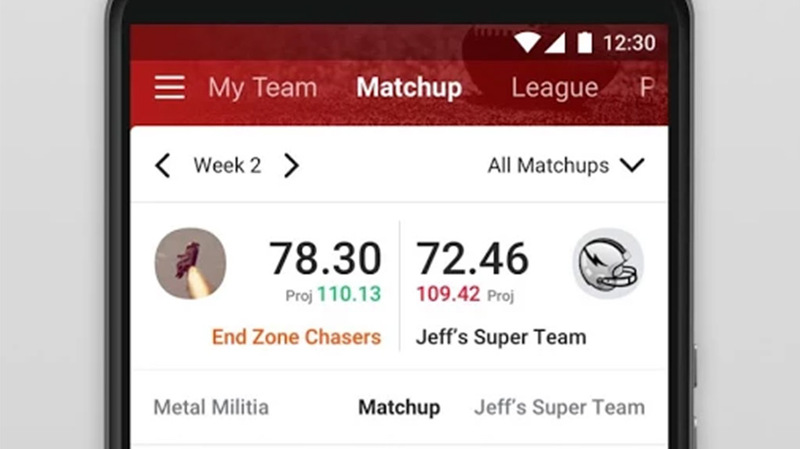 The app lets you edit your lineup, add/drop players, customize your team, and communicate with other managers in your league. That is basically all you need an app like this to do. There are a few bugs, and we recommend checking your team on a computer every now and then to make sure the app is doing its job. Otherwise, this one is solid. 10 best American football games for Android! NBA Jam is probably our favorite mobile basketball game. It’s a port from the old arcade classic of the same name. You play two-on-two basketball with a lighter set of rules. You can shove, steal, and dunk your way to victory. The game also includes hardware controller support, Android TV support, local and online multiplayer support, a campaign mode, and more. We wish all basketball games on mobile were this good. It’s basically a flawless port of the 1990’s arcade game. We also hope that EA continues to update this one so it doesn’t slip into irrelevance. NBA Live Mobile is the official NBA game on mobile. That means it’s a freemium cash grab by EA. There are still some redeeming qualities about the game, though. They include excellent graphics, decent controls, and every NBA team and player. You also get online multiplayer, various play modes, live events, and more. The game updates have a tendency to mess things up a bit. Additionally, it’s an EA sports game However, it is fun for at least a little while before the freemium content pushes its way in. Street Basketball Association is another street style basketball game. It’s also a freemium game, for better or for worse. The game includes various game modes, including online and local multiplayer, a quick game mode, league games, special events, and a training mode. The mechanics are simple. You play half-court ball with fairly simple rules. It also includes various difficulty levels. That way you can challenge yourself or just smash on some easy AI on those days you want to just chill. It’s a little slower than we’d like a basketball game to be, but not by much. Yahoo is ESPN’s biggest competitor in the fantasy sports space. Their app is very competent and it supports all of the major (American) sports. You can conduct your draft, change your lineups, trade, pick up free agents, and set your roster with the app. It also includes an integrated chat for trash talk and communication with other managers. The UI is decent. It won’t win any awards but it gets the job done. This one and the ESPN Fantasy Sports app are the best free options for fantasy basketball. Those who don’t mind spending some cash can also try Draft Kings and FanDuel. However, we recommend the free experiences because they’re generally better in every way. We also recommend double checking your rosters on a computer because the app can be occasionally inconsistent. If we missed any great basketball games for Android, tell us about them in the comments! You can also click here to check out our latest Android app and game lists!